Will Ilford be the last man standing? It's certainly looking increasingly that way. 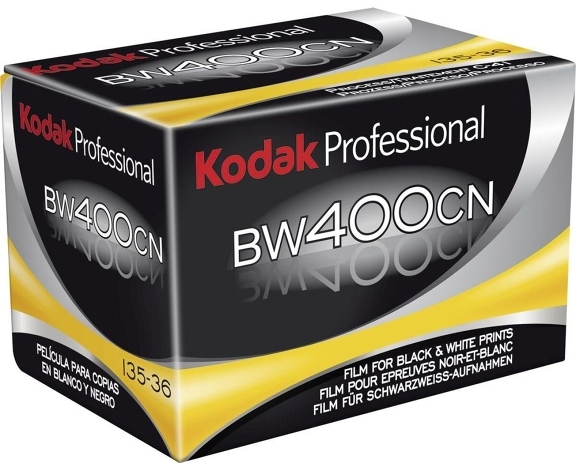 Kodak Alaris's coat seems to be on a shoogly peg, as we say in Scotland, following their announcement earlier this week that they are discontinuing BW400CN, their chromogenic film. I can see one Kodak film after another ending production - and, let's face it, there aren't many left now. I don't know if Fuji is doing much better although their 400CN chromogenic film is still around. 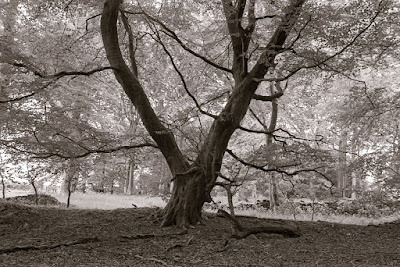 Ilford were quickly out of the gates to confirm that rival film XP2 Super will not be sharing a similar fate as BW400CN - at least for the "foreseeable future". They have "no plans" to stop production. Of course, it's anyone's guess what "foreseeable" means in this context. A month? Six months? Two years? Longer? And what about "no plans"? I've no plans to go on holiday this year but I could change my mind next week. It was apparently low demand that killed off the Kodak film (I've always preferred the Ilford offering) so I suppose we'll only have XP2 as long as we continue to use it. Speaking of which, when was the last time you bought any? I used a fair bit of it when I was mainly toting my D700 around because I could pop it into ASDA when Cath was doing the shopping and pick it up as we left. I haven't bought any for at least a couple of years so I don't suppose I'll be in a position to moan if it's eventually dropped from the Iford line-up. I suspect most readers will also be using traditional emulsions so where are XP2 sales coming from? Hipsters? Ilford, in a press release, said of XP2 Super, "This product continues to be in free supply throughout the world from ILFORD PHOTO Distributors and Photographic Retailers (the company must have got a job lot of capital letters), and is available in 35mm and 120 formats as well as a 35mm Single Use Camera." Steven Brierley, director of sales and marketing, added, “Our business is all about providing the best quality black and white products to support analogue photographic users worldwide. Any of these kind of announcements announcements (film lines being culled) make me shudder and scream in frustration, however I'm honestly not really that surprised about this one. Taking the look of the film aside (IMO - nothing special/unique)...The people still using film nowadays are by and large enthusiasts. Enthusiasts are more likely to put in the extra leg work to either develop film themselves, or take it to somewhere that can do it for them and do it well. If you're the former and dev your own, not sure why you'd choose C41 B&W - you're unlikely to do your own C41 dev anyway, and even if you do there's so many (better) options for traditional B&W film why would you bother? The other camp that pays for someone else to do the dev - again, as they're enthusiasts it seems unlikely they'd feel forced to use C41 B&W because they're not using the 1 hour film dev counter (that likely doesnt even exist anymore) which only does C41. They send it off or take it in to a dedicated photography store which'll surely do traditional B&W dev in-house or partner with someone who does it. So apart from those that want the unique look of this film, in what scenario are people actually buying this film and why? I haven't ever seen anyone gush about a particular aspect of this film that is outstanding or unique, though maybe I missed it? Is there something special about this film, apart from it's C41 dev processing? At a loss for answers, so guess that's why I'm not surprised and (gasp) not Terribly sad to see it go. This C41 film had a mask on it, similar to a colour-neg film, to make it easier to print for poorly-trained operators running C41/RA4 wetprint one-hour labs. Those machines disappeared years ago and now the prints are done by laser, via a scan. Hence the film's only purpose disappeared. I occasionally use, or abuse, the (very good) Ilford product in old 120 rollfilm cameras where there is minimal exposure adjustment. A few stops over exposed is no problem for XP2. The Ilford film also prints very nicely in the darkroom, unlike the deceased Kodak product. I'm no hipster (at least I'm pretty sure I'm not), but I like XP2 because a) I scan a lot of my stuff and being able to use digital ICE saves me a lot of time, and b) the film has amazing exposure latitude. I also like the way it prints in a conventional dark room. There are other reasons too, but those are the main ones. I think we should be under no illusions about Kodak Alaris. I read an interview with their marketing guy and it was clear that film is still a small part of the Alaris business. His words were clearly trying to sound upbeat but guarded about the prospects of film. I also don't see any visible evidence they are marketing their products or encouraging people to take up film. Ilford seems much more committed. Fuji more so especially if you look at their Instax program. Kodak seems to suffer from being too big and their operations were all about volume and don't scale down to smaller production ranges. The survivors will be agile; able to re-tool to meet a number of needs. Please send your comment again. I don't know what's happening as I never saw anything. Perhaps my spam filter is eating it up or something. Obviously I'm not filtering anything otherwise I wouldn't have published your latest comment! Only problem with XP2 is I understand it contains some ingredient which is about to be banned from use in Europe, which means. Ilford will have to reformulate it, and have made enough master reels to hopefully tide them over in the mean time. Only time will tell if they can successfully reformulate it, and if it can be done and make financial sense.